Kevin Spacey’s new movie, “Billionaire Boy’s Club,” premiered to an abysmal $US126 on Friday, according to The Hollywood Reporter. THR estimates the movie made just over $US600 the entire weekend in 11 theatres, and that an average of six people saw the movie in each theatre. 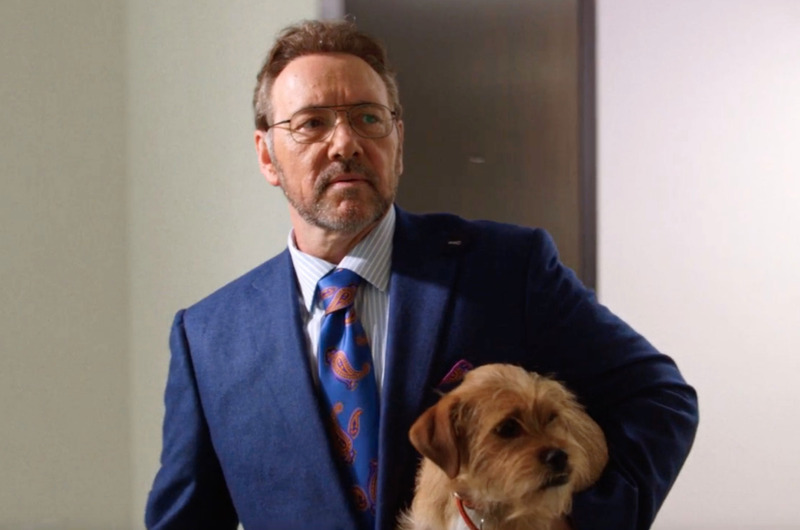 It’s Spacey’s first on-screen appearance since being accused of sexual misconduct last year. Kevin Spacey is in theatres again, but you wouldn’t know it based on the movie’s horrendous showing at the box office in its opening weekend. The movie, “Billionaire Boy’s Club,” opened on Friday to just $US126, according to The Hollywood Reporter. THR estimates that it most likely made only $US618 the entire weekend in 11 theatres based on the average ticket price of $US9.27. That means an average of only six people showed up for the movie in each theatre. On Monday, box-office analyst service Exhibitor Relations confirmed in a tweet that the movie “barely made $US600” over the weekend. It’s easily a career low for Spacey, who was accused by several men of sexual misconduct last year, most notably actor Anthony Rapp, who alleged that Spacey made unwanted sexual advances toward him at a party when Rapp was 14. This marks the first on-screen appearance of Spacey’s since the allegations came to light. Netflix fired him from the sixth and final season of “House of Cards,” which premieres this fall starring Robin Wright, and director Ridley Scott replaced Spacey with Christopher Plummer last minute in his movie “All the Money in the World” last year. “Billionaire Boy’s Club,” a crime drama that also stars Spacey’s “Baby Driver” co-star Ansel Elgort and Taron Egerton, opened to little press and enthusiasm. It premiered at the Sundance Film Festival in January and came to VOD in July before taking the precarious step into cinemas. It looks like audiences did make up their minds, and chose not to see the movie.